I was really curious about the new Victoria Beckham x Estee Lauder Makeup Collab and so I headed yesterday together with the hubs to my Sephora, to see the makeup line life. However: I was quiete dissapointed to find out, that NO! there was no display and the employees have never heard about this line! 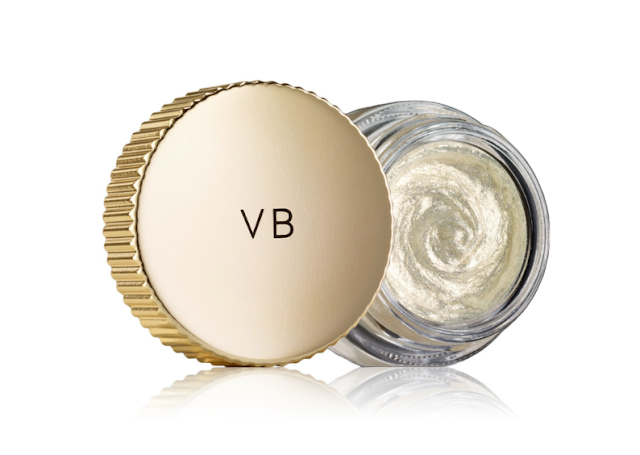 They even told me that this is not sold at Sephora. When I showed these employees on my Sephora App that it is sold online on the Sephora website, they were very surprised. LOL! They send me over to Macy´s- maybe the Estee Lauder counter would have a display. And what happened there? The sales lady over at Macy´s at the Estee Lauder booth had no clue about this line either- have never heard of it and send me away to the "Bluemercury" area- maybe they could help. But no! The ladies over there have never heard about this makeup line either. I also tried the Estee Lauder booth at Von Maur- same thing over here. No one has ever heard about this collab. 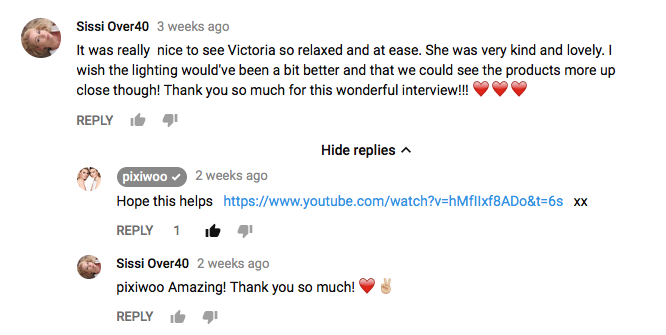 Back to what caused my interest in this makeup line: a couple weeks ago I saw the gorgeous "pixiwoo sisters" Sam & Nic did a great interview with Victoria. This was a side, that I have never seen of Victoria. She seemed at ease and very approachable- while yes: she also tried to push her makeup line. Well, she´s a smart business women of course. The lighting of the video was kinda dark and you could not really see the products up close either, which I mentioned in the comments of the video. And I received an answer from pixiwoo! Yay! So here is the video, where we can see the products a little better up-close! Besides that the prices are (of course) painful (a tiny eyeshadow palette with 2 eyeshadows for $60 anyone?) - the packaging is of course gorgeous...but I could not stop thinking that it reminded me on something. And then! 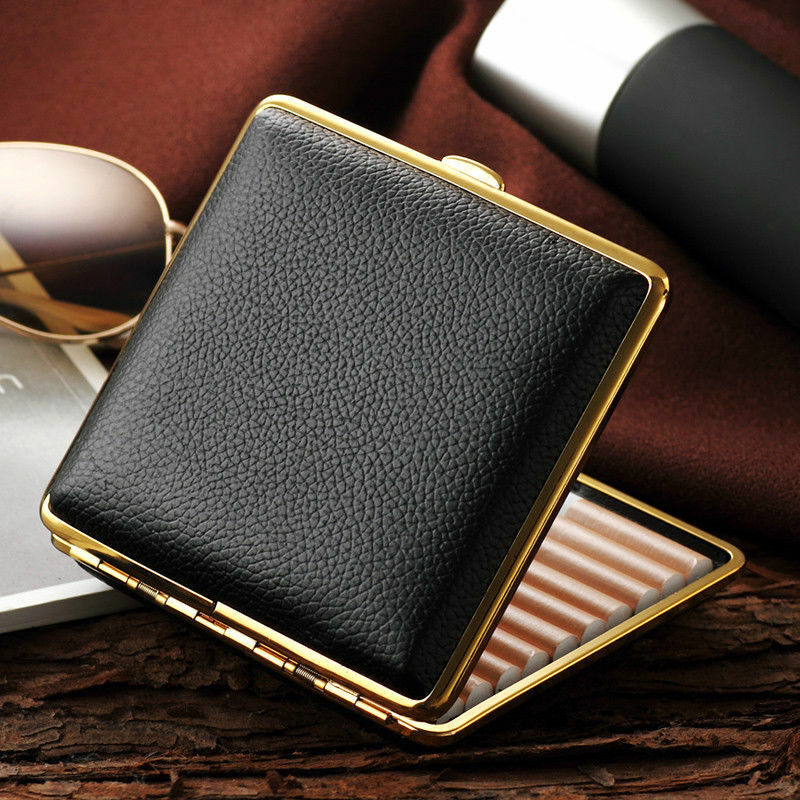 My mom used to have this cigarette case (back in the 80s- she is not a smoker anymore) that looked exactly like that! See it? 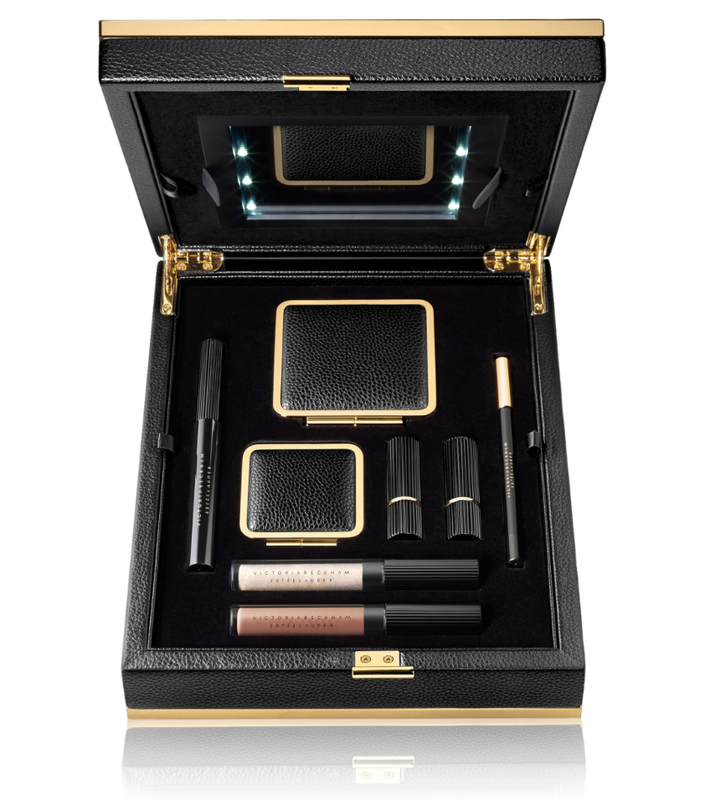 This black leather cigarette case looks just like Victoria Beckham´s Makeup collection, doesn´t it? Anyway, back home I tried to find online, where I could see the products life. I realized that you can click on each product on the Sephora website and it will tell you either: "online only" or you can click on "Find in store". However, I tried to put in my zip code, but the result is always: "We’re sorry, this item is not available within 100 miles of your selected ZIP/Postal code." Dam it! I wanted to see the products myself, to make a decision, if I need something out of this collection or not! SWATCHES from the London Look from #VBxEsteeLauder #fall2017 Collection. Check my blog tomorrow for more !!! Anyway, I decided to order online the Victoria Beckham Eye Foil in Blonde Gold ($40) ... because I am a blonde (not that you have to lol) and the product seems very unique! Excited to try! I keep you updated! 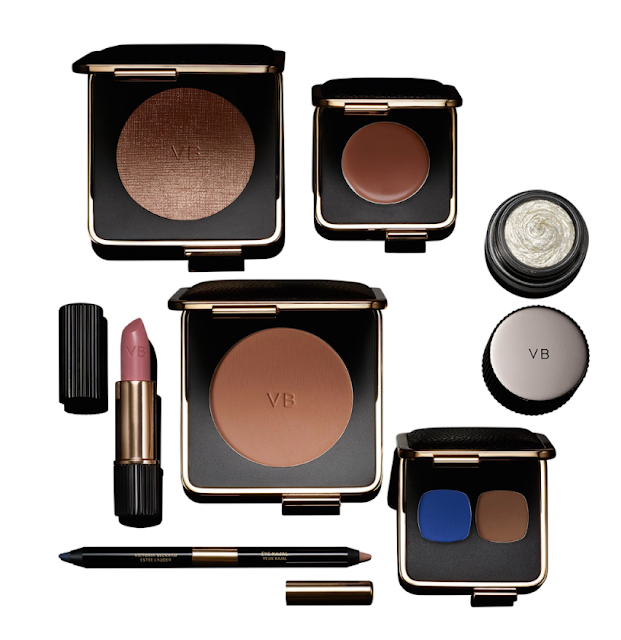 Are you going to buy anything from this makeup line?